Marvel Heroes completed open beta just a month ago. Many players who didn?t check out the open beta regret missing a free chance to play a fun game. Others are completely fine with their decision, as plenty of beta testers are claiming to have wasted their time, and that the upcoming release of Marvel Heroes will ultimately fall short. The split reviews on the upcoming MMO release is exactly why it?s important to check games out during their open beta runs. Open betas are for everyone, and tend to be free of charge regardless of future subscription or cost. There are tons of options nowadays when it comes to free gaming, and open betas might be one of the best. Players not only get a chance to give feedback for future game developments, but they also get to play a game that they may later miss out on due to cost or review. MMO ATK went ahead and found ten of the best free open betas available right now. Legend of Edda: Vengeance kicks off the list after recently going into open beta on May 15th. This free-to-play MMORPG takes on the theme of Greek mythology. Legend of Edda may have been shut down for over a year, but it has since had enough hype and polishing to be given a second chance. Improved aspects of gameplay and new content give the game fresh feel. The main focus of the Legend of Edda rebirth was to build a stable community. Plenty of players are already supporting the games awaited return, but that isn?t stopping this MMORPG from trying to attract an even bigger fan base. The open beta launched with a special 10K giveaway event. Players who take part in the free experience will get a raffle ticket for each hour of play time. The event is only available for a limited time, but then again so is a beta. Legend of Edda: Vengeance was a great free-to-play online gaming option even without a giveaway. The chance to win some cool tech prizes merely solidifies this games spot on our Top 10 list. You may have heard Scarlet Blade make headlines for its mature content. The free-to-play MMORPG is currently in open beta and hasn?t shown many signs of busting anytime soon, depending on how you look at it. Most will look at the game just as it?s presented, an overly sexual jiggle fest. Despite having a character lineup of barely dressed female characters, Scarlet Blade certainly has more going for it. 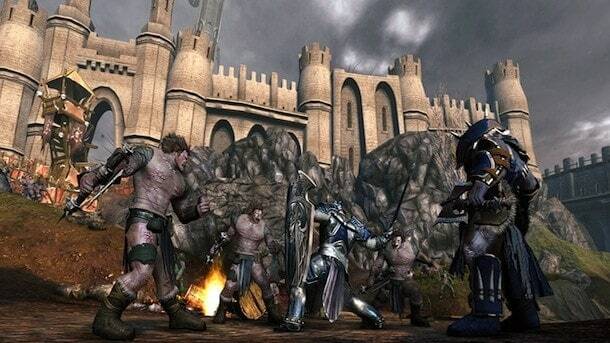 The game itself is solid find for fans of the MMORPG genre. There isn?t too much in terms of originality, but it?s a great alternative for anyone who might be exhausting their costless MMO options. There are a handful of classes to choose from and the environment is generally a success. The world may seem big and repetitive at times though, so there?s no telling how successful this game will be when it?s finally released. Regardless, the open beta is free and allows players to partake in some intense PvP action. Scarlet Blade may just be worth your while. This is a 3D action MMO unlike any other. Kritika Online utilizes dynamic camera angles to immerse players in the nonstop action. The MMORPG has been in open beta for a few months now and is proving to be a one of a kind online experience. Characters will start their journey by becoming a Mage, Swordsman, or Thief. Players will have to level these classes and master their skills in order to take down some fearsome enemies. Fighting with a group is a favored option in most MMOs. Just be ready for some extreme boss battles if you take that route. Players can also manage the game on a complete solo path if they want. A myriad of quests provide an assortment of way to level in this game, so the action seems nonstop. Kritika Online is definitely an open beta that will definitely satisfy your MMORPG taste buds. This is one of the open betas that you can find through Steam Greenlight. We recently covered Victory: The Age of Racing on our Top 10 MMO Racing list. The beta run has been a complete success for this MMO racing game. Controls are easy to learn but may still take some time to master. It will help to choose what control method fits you best. Gamepads, keyboards, wheels and a mouse are all available in this upcoming racing success. Amazing car customization takes this game to the next level. The free-to-play title has over 1500 esthetic tweaks, along with car development that includes qualities such as Traction, Power, and Aerodynamics. Victory the Age of Racing uses an RPG-like car progression that really makes your choices stand out. It?s thoroughly recommended to check out this MMO racer while it?s completely free. Gamers who want the thrill of quick but memorable races for free should check out Victory the Age of Racing before its full release. The open beta test for this MMO just opened in May, but Saint Seiya Online has had nothing but good reviews from its limited player base so far. In fact, if you were to base your gaming decisions on reviews alone, you would have already pre-ordered this game. This 3D MMORPG was adapted from the famous manga series and promises to deliver an array of comic-based elements from the classic Saint Seiya Storyline. The game is a significant find for many Saint Seiya fans, but it?s currently an amazing find for any MMO fan. Players can expect exhilarating battle scenarios and see cinematic action sequences reminiscent of the great anime series. Basic cloth will evolve into legendary armor as your character grows. Mythical energy will give players the flexibility to unleash their true potential. Guilds can be formed and bring together reinforcements for massive online wars. The possibilities are pretty amazing when it comes to a free open beta. Gamers are encouraged to partake in this wonderful MMORPG and learn about the world of Saint Seiya as soon as possible. 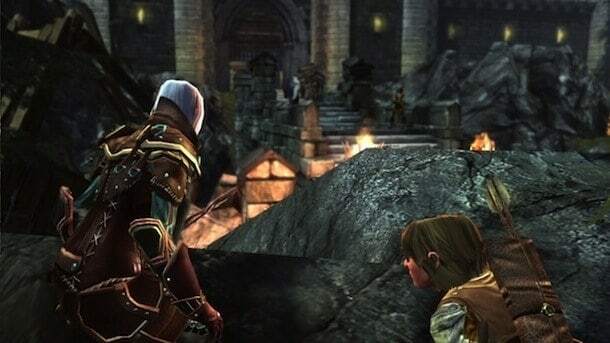 Fans of online gaming should definitely consider this dungeon crawling MMORPG. 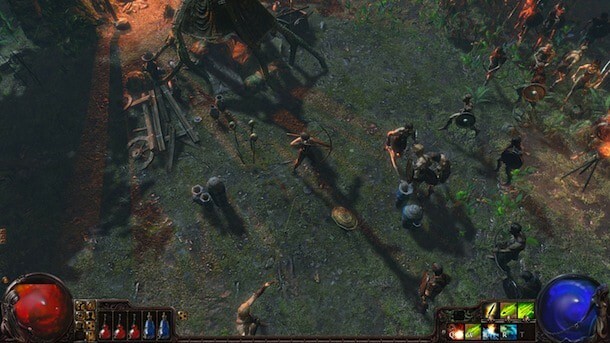 Path of Exile has been heavily compared to Diablo 3 and Torchlight II, as they are all hack-and-slash action RPGs. A solid crafting system is present in all three titles, but Path of Exile otherwise sets itself apart in best of ways. A complicated skill tree presents endless combinations for character builds, while an item-based economy delivers nonstop looting opportunities. Six classes are more than enough to provide some memorable PvP experiences, and unique pets give the game something special. There is a fair share of open beta titles available, but very few match the regular content updates seen in Path of Exile. Each and every week Grinding Gear Games adds something new to the game. An ethical approach to micro-transactions keeps the game from becoming a pure pay-to-win exploit. The open beta is fair to everyone and gives players the chance to experience a great MMORPG for free. Any video game fan partial to hack and slash gameplay and treasure hunting should be sure to give this beta a look. Another MMORPG to hit open beta recently, City of Steam is getting geared up for 2013 release. The 3D MMO requires no download and is completely free-to-play. City of Steam is best known for its take on the steampunk universe, supplying a rich history and complex storyline. Ten races and four classes will allow players to fill the classic MMO character roles. Whether you want to be a spell casting mage, a melee specialist, or a ranged combat fighter; City of Steam has it. The beta will be updating on a bi-weekly basis while working out the final kinks in gameplay. Developers have already made drastic changes to the MMO, based on numerous player feedback from the closed beta run. Balanced skills, unique character customization, and a desirable in-game crafting system is just the beginning of this industrial age fantasy MMO. Make sure to head over to the City of Steam website and get involved with a great online game at no cost. Online racing has been very different since the release of TrackMania Nations. The stunning visuals, smooth controls, and brilliant course designs have come full circle in the open beta of this final TrackMania 2 installment. What makes this beta so successful is a player?s ability to edit their own racetracks. These creations can be shared with everyone in the massive online community. Up to 200 players will be able to partake in races on these custom tracks. Thank God there is are no collisions. Lack of wreckage may seem unappealing to some racing fans, but it?s required in a massive online game that has drastically different race courses. As players take on more high speed endeavors they will be able to compare their performances to other gamers in their region, country, and even the world. Research will tell you exactly where you need to improve too. This game will most likely cost around twenty bucks when released, so people are encouraged to check out this amazing racing game while it?s still in open beta. You may never again get the chance to build yourself a phenomenal racetrack for free. SMITE landed on our big MOBA list a month ago and for the right reasons. The free-to-play open beta delivers an amazing battle arena experiences in third person. This original accomplishment goes great with the stunning visuals of warfare between famous mythical gods. There is even a way to obtain every character at a bargain. For just thirty dollars, players can buy a Ultimate God Package granting them every god released now and in the future. It?s actually very fair when you think about it. Play the game for free, and if you like it you only have to buy it once. It wouldn?t be such an accomplishment if so many games weren?t exploiting a pay-to-win model. SMITE is an open beta that will satisfy the competitive craving in most MOBA fans. The community is also more supportive than trending giants like League of Legends. The growing MOBA popularity ensures that any success in the genre gets noticed. SMITE really goes the full distance though, delivering a nearly complete online gaming experience before developers even finished adding to its already established greatness. Neverwinter makes this list because Cryptic and Perfect World are calling it a beta. This MMORPG is pretty much good to go though, and it will offer one of the most innovative experiences in all of MMO gaming. The Foundry system allows players to create their own quests and storylines in Neverwinter, much like the tabletop game it was based on. Don?t forget this is an online game. The endlessly creative possibilities from The Foundry can be shared with everyone. Ratings and reviews help promote successful player creations, while weaning out the less popular ones. The reliable community might change post-beta, as more people will begin to join the game; but let?s hope for the best. Voice chat is worked right into daily gameplay, which is a huge help when it comes to exploring dungeons or taking on dangerous bosses. There will also be access to the game even when not logged in. Players can access their accounts through a web browser and tweak things in game. These tweaks include changes such as your character info, guild updates, and auction house interactions. This is one MMORPG that really wants to keep players connected with their virtual identities. Dungeons and Dragons Online was a huge success, basing it?s content off of the famous role-playing stories. Neverwinter does the same thing, but with updated Dungeons and Dragons rule sets. This free-to-play open beta immerses players in true MMO gaming. Fast paced combat and monsters galore make players want to take part in every encounter the game has to offer. Neverwinter even allows your character progress to carry over into full release, something most betas won?t offer. It?s recommended that every gamer give this beta a try. This is a free chance at getting on board with what aims to be a future MMO giant.